As we remember Christ and His birth, we also reflect on happy times with our family and Christmases where we felt His love strongly. We all have our special Christmas memories, and members of the First Presidency and Quorum of the Twelve are no exception. Here are some Christmas memories from their youth that general authorities have shared over the years. When President Monson was a child, he played the part of one of the three wise men in a nativity reenactment in his ward. 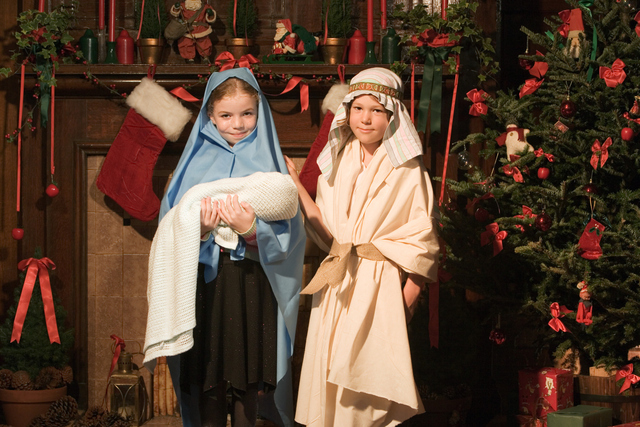 In the play, he declared that the wise men had seen the star and wanted to know where Jesus was. “I don’t recall all of the words in that pageant, but I vividly remember the feelings of my heart as the three of us ‘wise men’ looked upward and saw the star, journeyed across the stage, found Mary with the young child Jesus, then fell down and worshipped Him and opened our treasures and presented gifts: gold, frankincense, and myrrh,” he said. 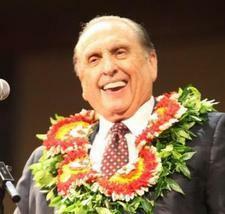 To this day, President Monson keeps the old cane he used in the play to remind him of what he felt that day. “The Christmas cane continues to occupy its special place in my home; and in my heart is a commitment to Christ." When President Eyring was young, he would hear various Christmas songs on the radio, some of which still linger in his mind. One line of a song he remembers the best is “I’ll be home for Christmas, if only in my dreams.” The song spoke of a desire to be with family, but he knew its true meaning went beyond that. President Uchtdorf remembers his Christmases as a child vividly. Although his holidays were not extravagant, they were meaningful and special. He remembers the joy his family felt giving and receiving gifts the year he gave his sister a drawing he made and another year when his brother carved a toy knife. How did Joseph Smith celebrate Christmas? What did John Taylor say about the pioneers’ first Christmas in the Salt Lake Valley? What was the heartening message that George Albert Smith included on his 1945 Christmas cards? Christmas with the Prophets provides glimpses into the individual Christmas celebrations of each President of the Church, with recurring themes of missionary efforts, Church work, family, and service. Some of the vignettes are personal, others soul-stirring, poignant, and tender. Often their experiences and messages reflect the world conditions at that time and serve as little snapshots of history.